Home / selenium ide / selenium ide scripting example / selenium ide video tutorials / HOW TO SUBMIT SEARCH FORM ON HELLO SELENIUM USING SELENIUM IDE? HOW TO SUBMIT SEARCH FORM ON HELLO SELENIUM USING SELENIUM IDE? 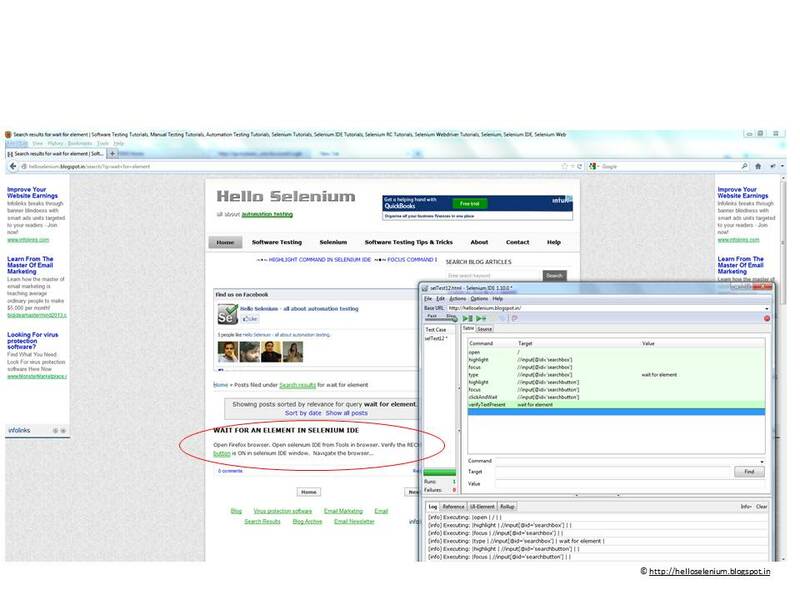 In the above script we are searching the keyword “wait for element” by submitting search form on hello selenium.